Learners at Makangwane Secondary School in South Africa have for too long been deprived of the fundamental rights enshrined in the constitution but on the 26th of June, 2018 the Polokwane High Court granted an order providing for effective relief to these violations. One would find it unconscionable that a government in a democratic dispensation would be the same government to reinforce the inequitable structures put in place by the apartheid government. However unconscionable one may find this to be, this has been the tragic reality of the students of Makangwane Secondary School in a remote village in the Limpopo province of South Africa called Non-Parella. Makangwane was built by community members in 1974 owing to the apartheid government’s disinterest in the community’s education. The consistent lack of government support, through the passage of time, had set it on a downward spiral into total dilapidation. Makangwane’s infrastructure had been inadequate since its inception and parents and community members have spent the better part of the past decade wrangling for government’s intervention on the unstable condition of the school’s infrastructure. This poor state of infrastructure came to a head on 22 January 2018 when the corrugated iron roof of one of the classrooms blew off during school break time nearly injuring learners. Following this incident, the School Governing Body (SGB) and community members decided to move the learners out of the classrooms to learn under surrounding trees due to concerns for their safety given the school’s condition. When Makangwane’s SGB approached SECTION27 for assistance we learned that the dangerous condition of the school had resulted in the suspension of lessons for three months, this revealed an unjustifiable limitation of Section 29(1)(a) of the Constitution. Section 29(1)(a) provides that “everyone has a right to basic education” which is an immediately realisable right that places a duty on the government to facilitate access to education unconditionally and a breach of this right cannot be defended by a scarcity of resources. SECTION 27 argued that the right to education is compounded in nature and that a violation of section 29(1)(a) is also a violation of the rights tied to it such as dignity; equality and the protection of a child’s best interests. 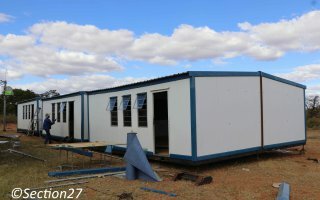 Our position was that unsafe infrastructure undermined the care and respect that the right to dignity encompasses and that the government’s failure to attend to the needs of the learners only reinforced the racial and financial discrimination perpetrated by the apartheid government, violating the learner’s right to equality. It was clear from the facts that the best interest of the learners had not been protected. The constitutional court in the Juma Musjid Primary school case emphasised that the protection of the best interest of a child can be measured by whether or not the right to basic education has been violated. These violations had naturally taken their toll on learners. During our consultations one matric learner spoke with a heavy heart when he explained the embarrassment he felt after interacting with peers from other schools because it revealed how tragically behind his school was in covering the curriculum and how this provoked the fear that he would not be adequately prepared to write his preliminary and final exams. Accounts such this one highlighted the need to secure effective relief that would vindicate and protect the constitutional rights at stake. We felt the responsibility to persuade the court to grant an order that would go to the heart of the matter by succinctly articulating the violations as we understood them to be. On the 26th of June, 2018 the Polokwane High Court granted such an order for our clients. The order comprised of three components which made up the overall remedy, these included short-term remedies; long-term remedies and reporting duties. The short term remedy dealt with the urgency of the matter, here the court ordered that five mobile classrooms with the appropriate amount of furniture be delivered to the school as well as a catch up plan be compiled to cover the time lost, all of which had to be ready before the start of the third term. The Long-term remedy was a structural order that required the government to produce a fully costed plan that would permanently deal with the plight of Makangwane and that such a plan had to be compiled through meaningful engagement with the local community. Finally, the court placed a duty on the government to report to the court at regular intervals on their progress as a measure to ensure effective relief. The Makangwane matter can best be understood as a case study exemplifying the seriousness with which our law takes the right to basic education but also, tragically, how apartheid still casts a long shadow for the poor and marginalised. 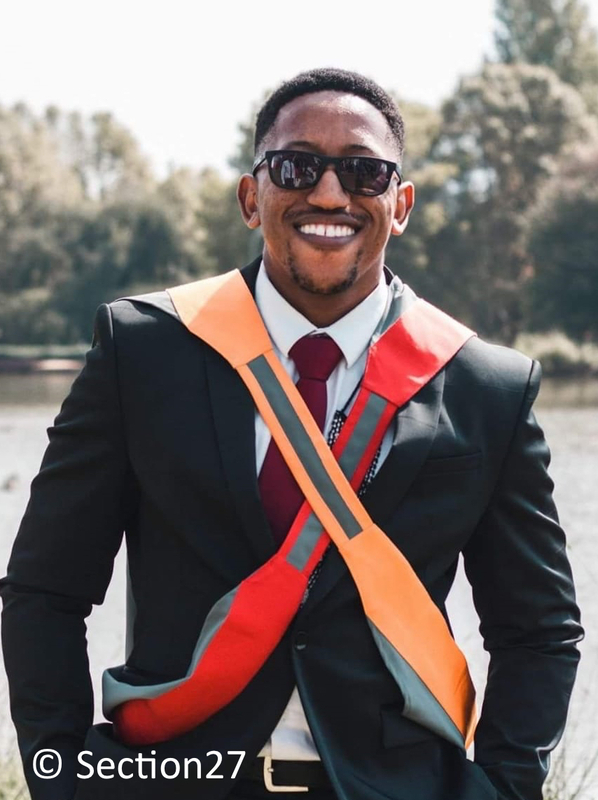 Vuyisile Malinga works as an Education intern at SECTION27 and holds a BA Law and LLB degree from the University of Pretoria.